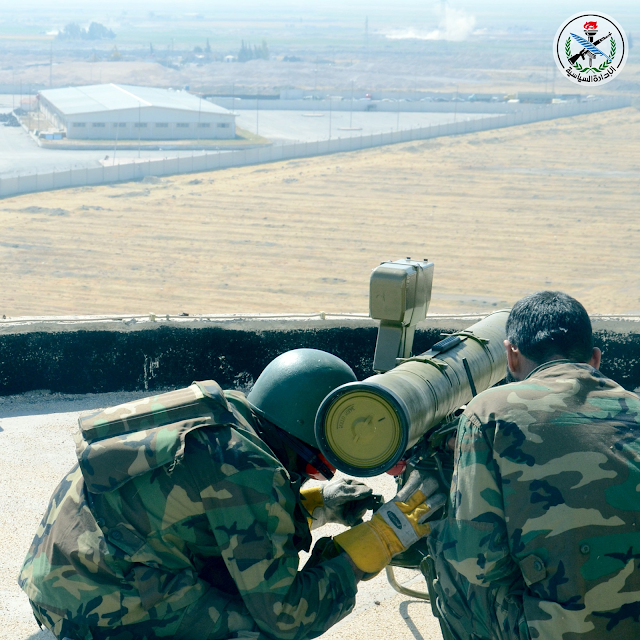 With the Syrian Ministry of Defense finally having embraced 21st century media technology, it now regularly uploads high-definition images on both its official website and twitter account. 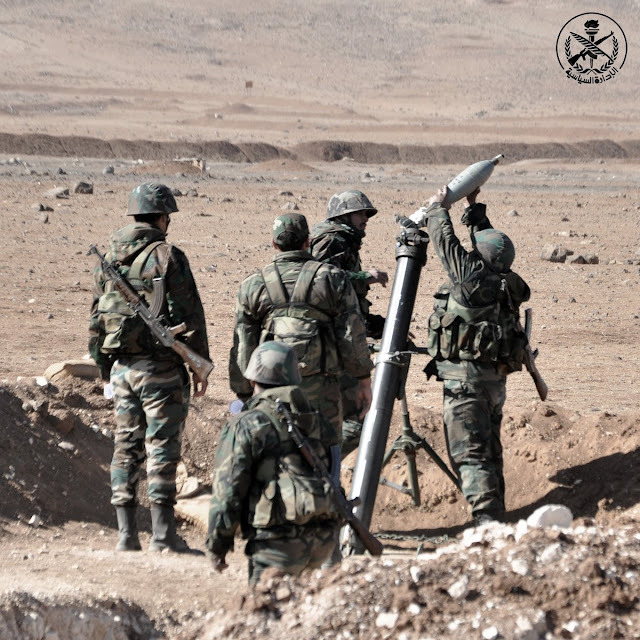 Despite this 'giant' leap forward, the Syrian MoD still only communicates to the outside world in Arabic, thereby excluding a large audience that could otherwise be interested in reading or viewing the MoD's statements on ongoing battles in the Syrian theatre. Nonetheless, the images published provide for a perfect opportunity for another 'Photo Report'. 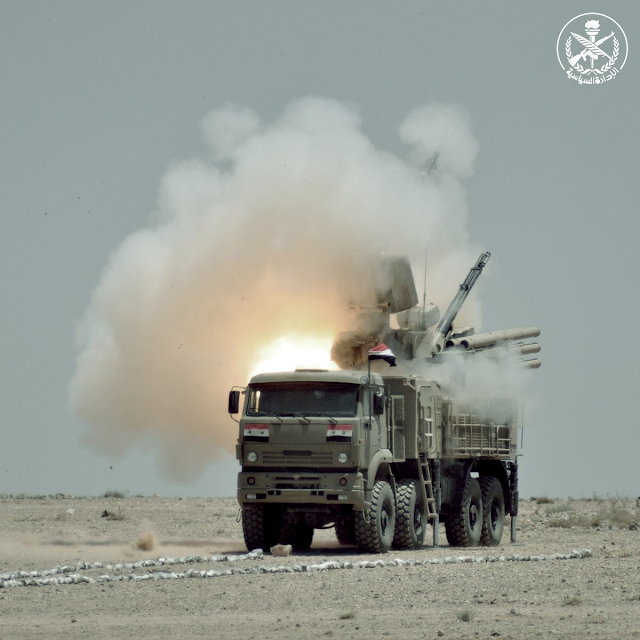 A Pantsir-S1 of the Syrian Arab Air Defence Force (SyAADF). 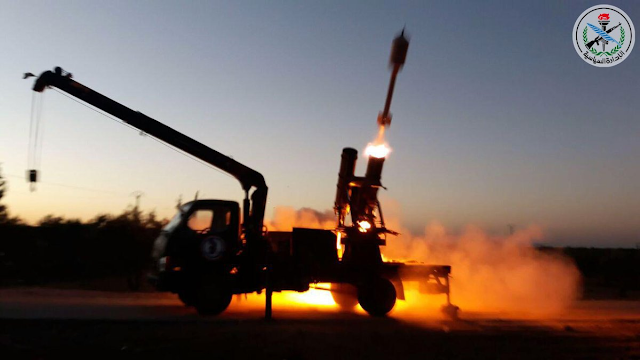 Significant quantities of modern surface-to-air missiles (SAMs) have reached Syria in the past decade, with deliveries even continuing during the Syrian Civil War. Although a complete overhaul of the SyAADF with the acquisition of S-300PMU-2s, Buk-M2s, Pechora-2Ms and Pantsir-S1s was originally planned during the 2000s, the delivery of the first has been postponed and is ultimately believed to have been cancelled. A more advanced version of the Pantsir-S1 has also been introduced to the SyAADF recently, similar to a variant that has been delivered to Iraq since 2014. A Syrian T-72AV TURMS-T (Tank Universal Reconfiguration Modular System T-series), a variant upgraded by Galileo Avionica of Italy during the 2000s in order to enhance its fire-control system. 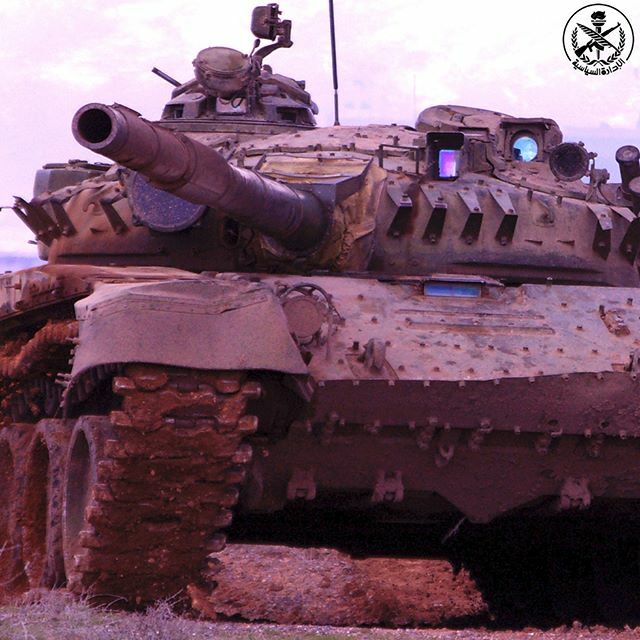 Interestingly, instead of solely upgrading its T-72AVs or T-72M1s to TURMS-T standard, the SyAA decided to also include T-72 'Urals' in the upgrade programme. The T-72 'Ural' and T-72M1 also make up the majority of the fleet upgraded with the TURMS-T's panoramic sight. As upgrading all of the TURMS-T equipped T-72s with the panoramic sight was deemed too expensive, only a limited amount of T-72s received the system. Why mainly the less advanced T-72 variants received this sight remains a mystery. A 'Volcano' rocket seen departing its launcher. These rockets became well known for their ability to destroy complete housing blocks with a direct hit, a decisive factor during the battle for al-Qusayr in 2013. The Volcano pairs a standard artillery rocket with a much larger warhead, drastically increasing its lethality at the cost of a decreased range and accuracy. Mass-production picked up pace around the same time, and these rockets are now in use on nearly every front in the Syrian theatre. In Syria, three iterations of the Volcano are currently believed to be produced, further divided into several sub-variants each. The most widespread types in use are the 107mm and 122mm based variants, although a 220mm based variant also exists. 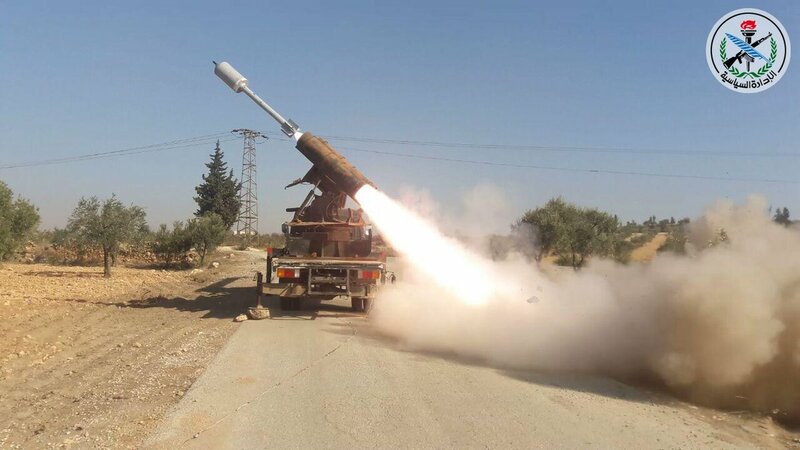 Converting these rockets is a relatively easy process, as 107mm and 122mm (Grad) rockets are extremely common in Syria, and 220mm rockets are known to be in production in Syria itself. 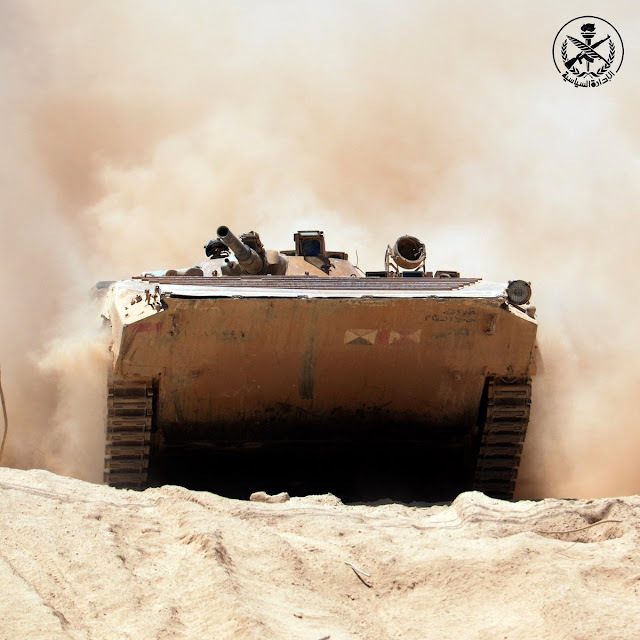 The BMP-1 still constitutes the mainstay of the Syrian Arab Army's inventory of infantry fighting vehicles (IFVs), and with recent Russian deliveries of further BMP-1s and BMP-1Ps, this is unlikely to change in the near future. The BMP-1's lacklustre armament and thin armour protection have been made painfully clear during the Syrian Civil War, and only little work has been carried out by the regime side for the purpose of improving the capabilities of these vehicles. Some factions have attempted to 'reinforce' the armour of their BMP-1s by adding Kontakt-1 explosive reactive armour to the hull and turret of the vehicle. While the turret armour is strong enough to be compatible with Kontakt-1 blocks, the hull's paper thin armour is unable to withstand their detonation, shattering the thin layer of armour with the possibility of inflicting heavy injuries to the personnel inside. The T-72 'Ural' is the oldest T-72 variant in service with the Syrian Arab Army. 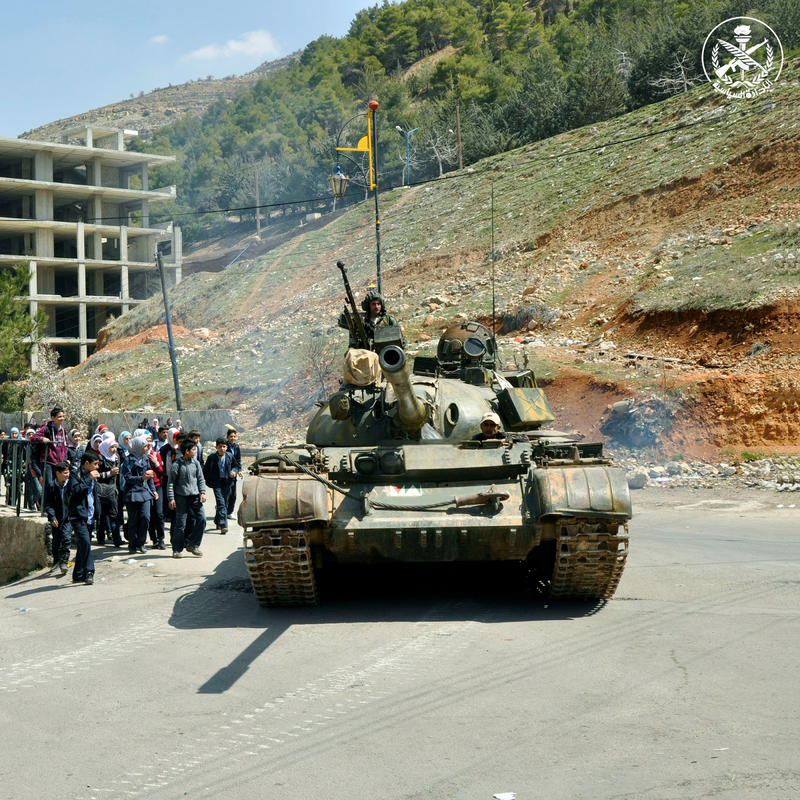 Once said to be ''the best tank in the world'' by Hafez al-Assad, nowadays it is famous for its major flaw, and is the subject of many videos in which it suffers a violent cook-off after a hit, resulting in the turret being blown off spectacularly. 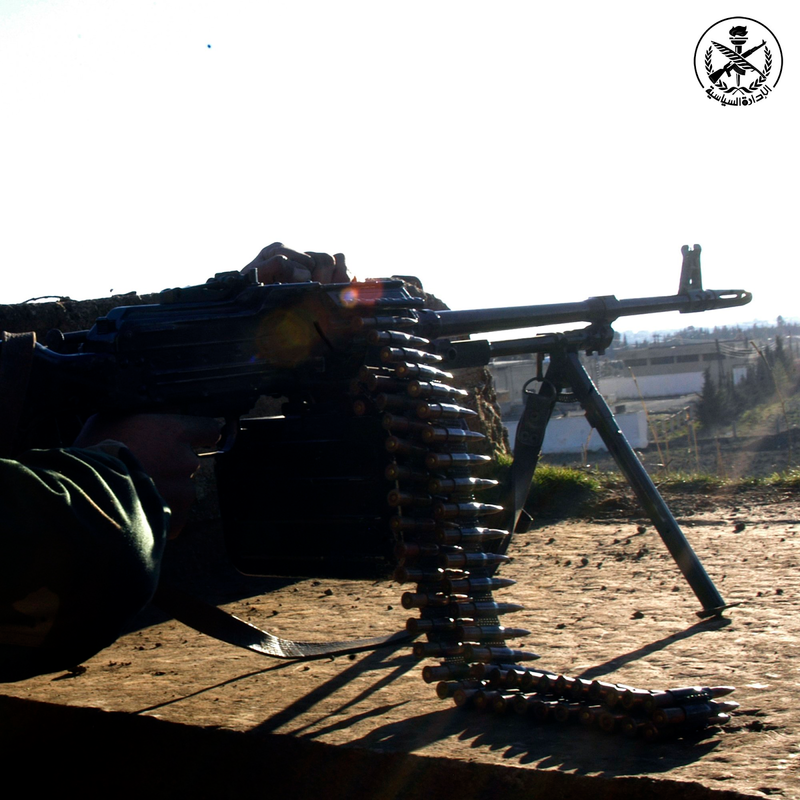 While the Syrian Civil War has seen a large number of AK-pattern rifles in service with the various factions fighting for control over Syria, the profileration of PK-pattern machine guns is often overlooked. 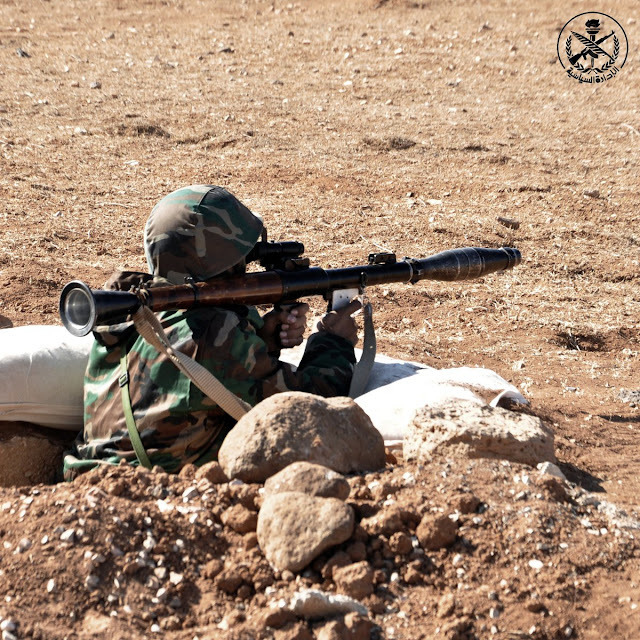 While the PK and PKM still make up the majority of general-purpose machine guns in Syria, several derivatives have also showed up in the Syrian theatre in the past several years. This includes the Russian PKP Pecheneg and the North Korean Type-73. The latter originated in Iran, which bought a batch of these machine guns during the Iran-Iraq War. These were soon stored after Iran began producing its own PK and PKM-pattern machine guns, and ultimately found their way to Shiite militias in Iraq, Syria and Yemen. 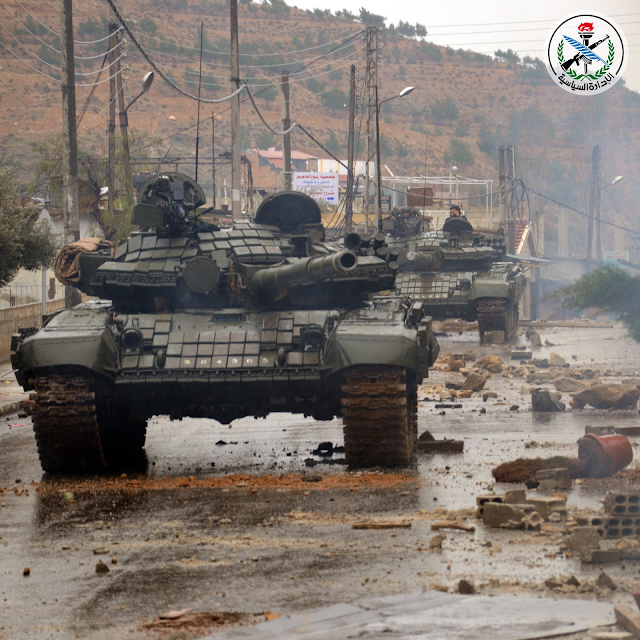 Three T-72AVs, still in pristine condition, making their way through a Syrian battered town. Although it offers a vast improvement over the tank's regular armour, Kontakt-1 has proved to be incapable of protecting it against heavier rocket propelled grenades (RPGs) and anti-tank guided missiles (ATGMs). In addition, the supports for the ERA blocks on the side skirts have shown themselves to be too weak to withstand the blast of an incoming RPG, sometimes causing the whole side skirt to fall of after just one hit. An incredibly rare sight: A Syrian T-72AV deprived of all its Kontakt-1 explosive reactive armour. 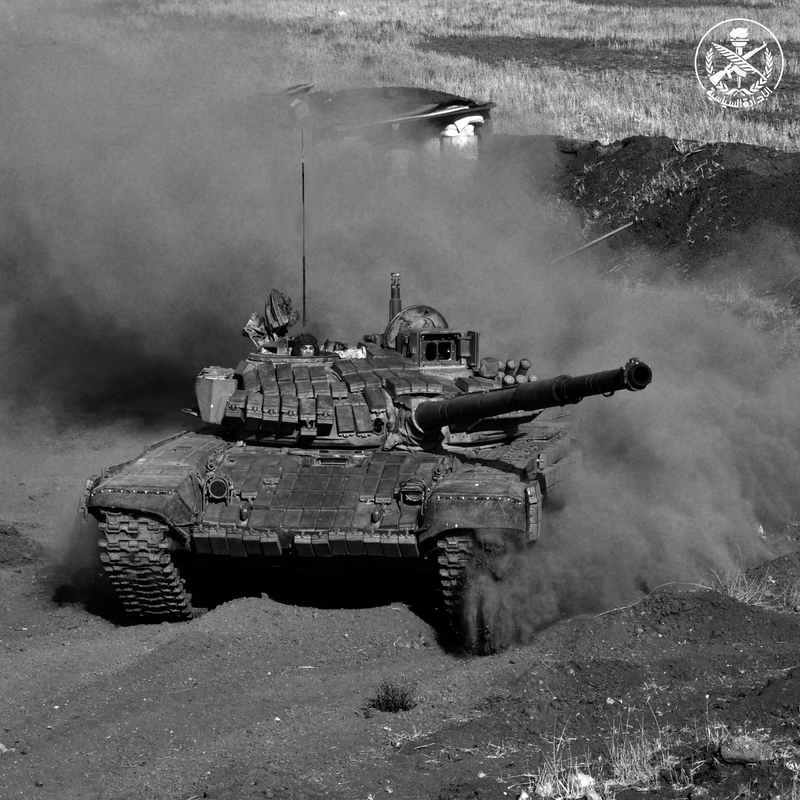 This image allows for a great comparison between the T-72AV still sporting all of its explosive reactive armour seen above. The tank below is likely operated by a training unit, with the explosive reactive armour removed for use with T-72AVs serving in combat units serving on the frontline, which can obviously make better use of it. 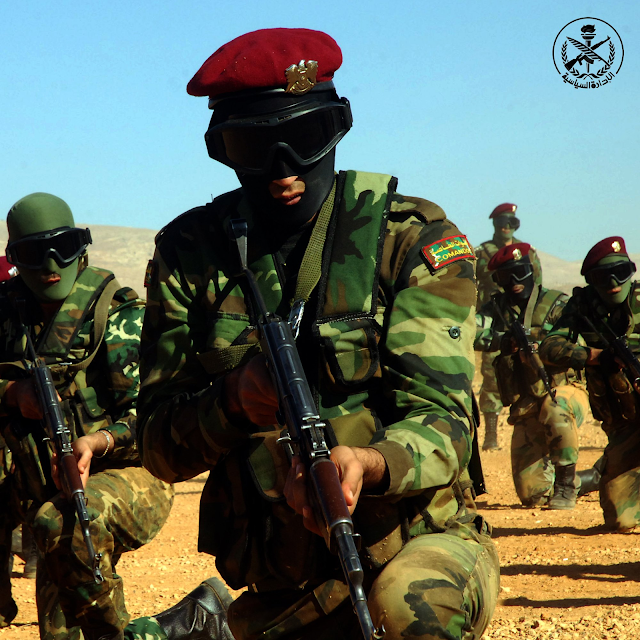 A training exercise of one of Syria's commando units. Atlhough the Syrian Civil War is about to enter its sixth year, not much is known about special operations carried out by these units. 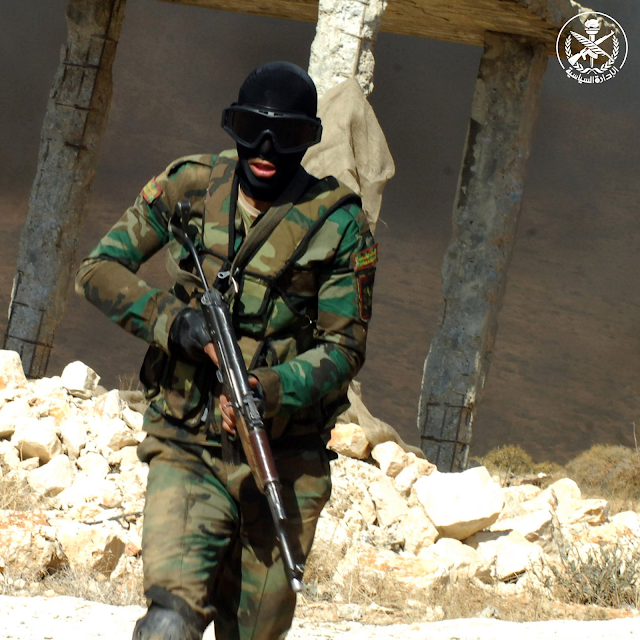 Instead, most of Syria's 'Commandos' appear to be employed as regular infantry alongside the Syrian Arab Army and NDF. They can easily been discerned from other units by their 'القوات الخاصة – 'Commandos' – patch, but are only rarely seen wearing their red beret. 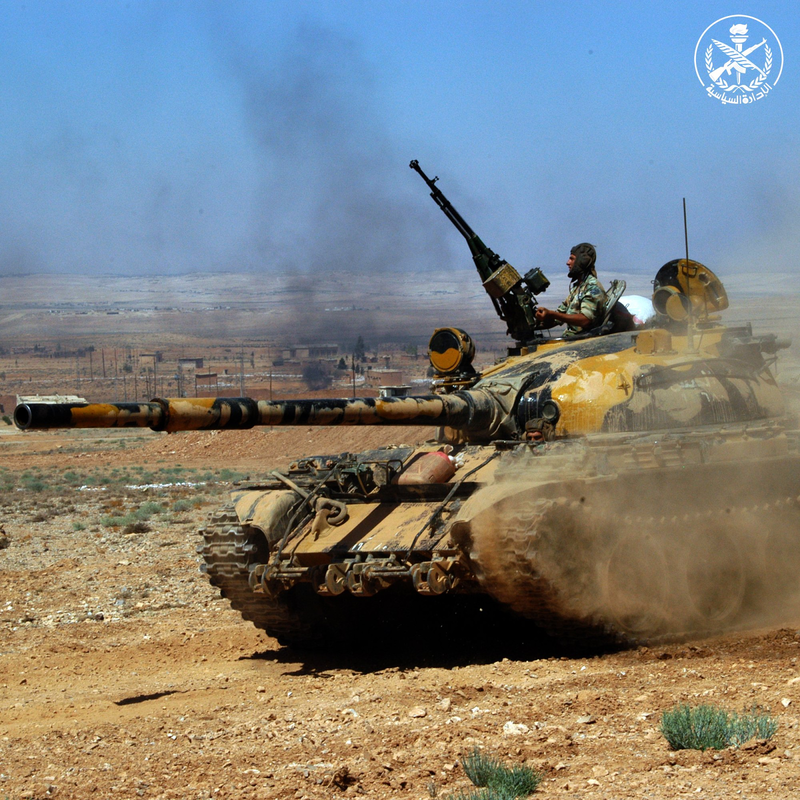 The profileration of anti-tank guided missiles (ATGMs) in the Syrian Civil War has meanwhile ben sufficient to test the armour plating of the Russian T-90, the U.S. M1 Abrams and even the German Leopard 2. With Turkey ramping up its intervention in Northern Syria by deploying M60Ts and Leopard 2A4s to the Syrian theatre, the Syrian Civil War serves as a perfect testing ground for the world's newest in armour and armour upgrades. While the M1 Abrams was once thought to be nearly impenetrable, the tank has found its match with the deployment of 9M133 Kornet ATGMs by the Islamic State. Similarly, Turkey's Leopard 2A4s have fallen victim to ATGM attacks during their short deployment to Northern Syria, mostly owing due to poor tactics employed. 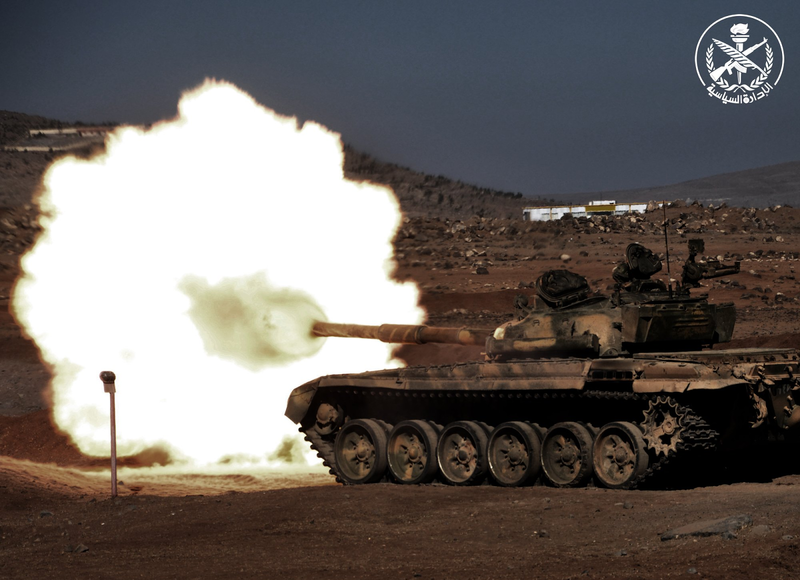 Although the T-90A's armour protection has also been tested during combat in Syria, a catastrophic ammo cook off has yet to occur. 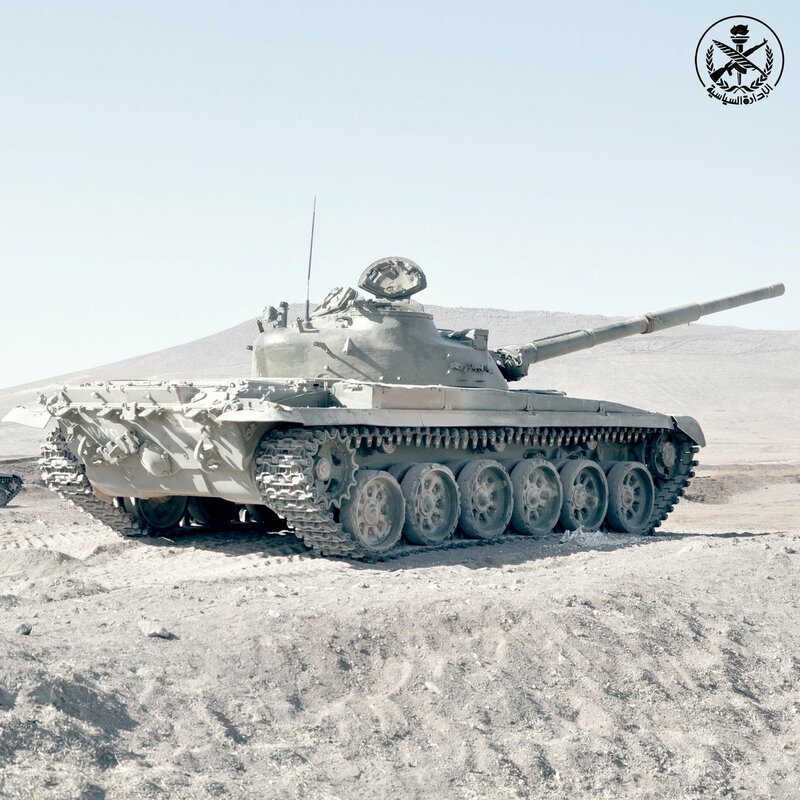 Although the T-72 has received the most attention during the Syrian Civil War, the T-62 and T-55 series that remain in service continue to make up the majority of Syria's tank fleet. 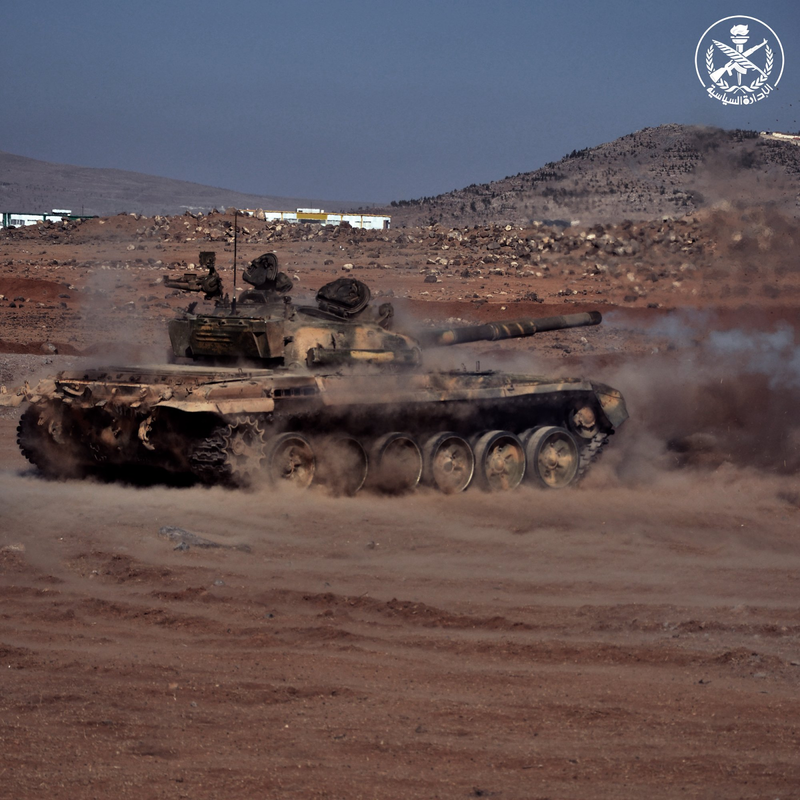 Indeed, the Syrian Arab Army's newly established 5th Corps has recently begun receiving T-62Ms from Russia. This recent Russian 'armour influx' has already seen the delivery of T-90As, T-90s, T-72 Obr 1989s, T-72Bs, BMP-2s and BMP-1(P)s in the past two years. Syrian Arab Army soldiers aiming their small arms at a defensive position during an exercise. Although large quantities of Chinese-made helmets and body armour were procured from China shortly before the Civil War, the SyAA soon ran out of this newly issued equipment. While some units were re-equipped with whatever was found laying in warehouses, others had to do with far less, or would even be responsible for their own clothing and equipment as was the case with Suqour al-Sahraa' (The Desert Falcons), resulting in an abundant variety of uniforms and equipment on the battlefield seen today. 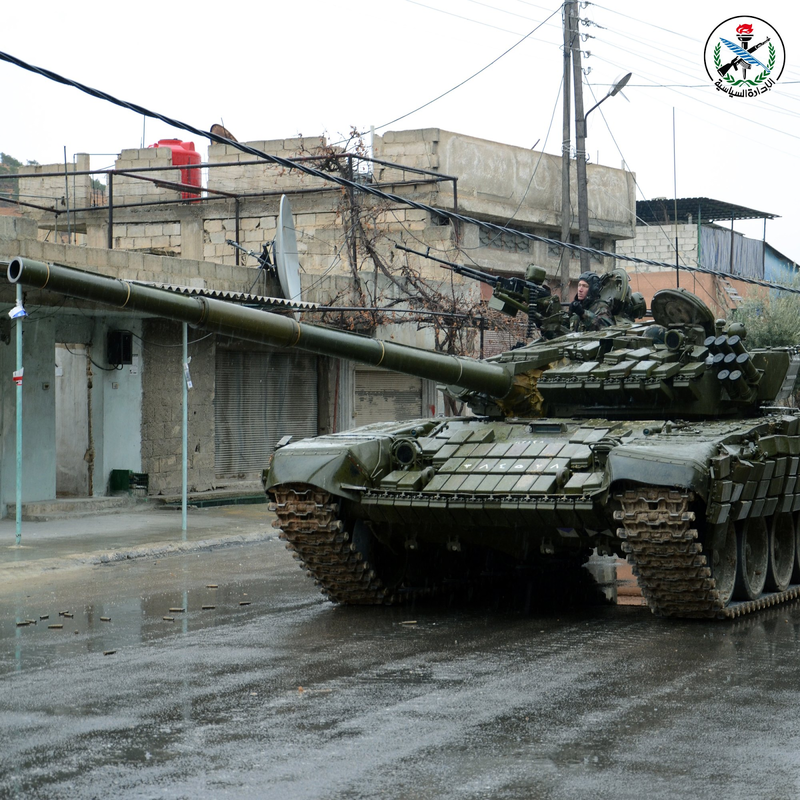 A T-72M1 makes it way through downtown Aleppo. 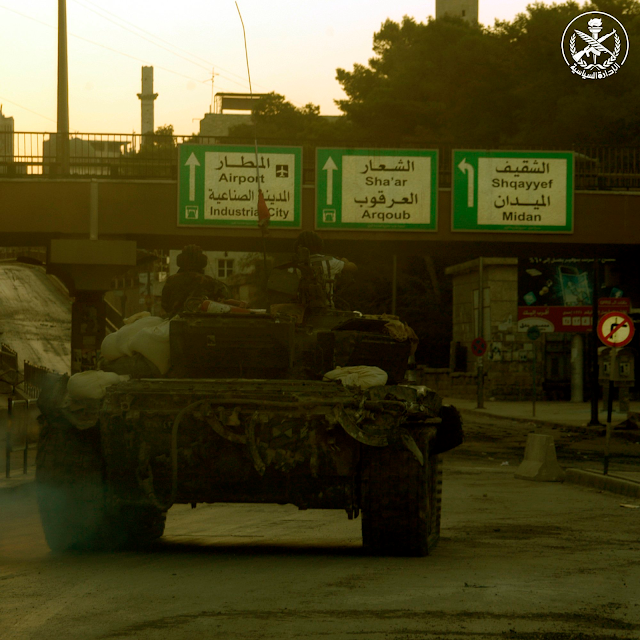 Heavily contested since 2012, the days of regime presence in the city were once thought to be numbered. 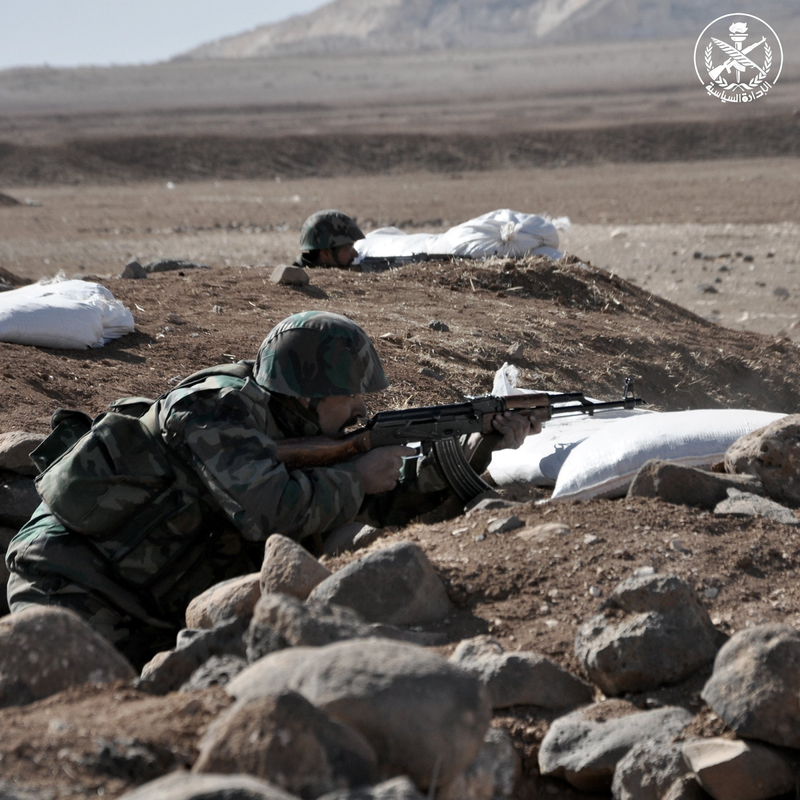 Under siege and attacked from all sides, the Syrian Arab Army looked to consolidate its remaining territory first, while later offensives would be key in tipping the scales in favour of the regime. Against all odds, the city was completely recaptured four years later; a fatal blow to the rebels. 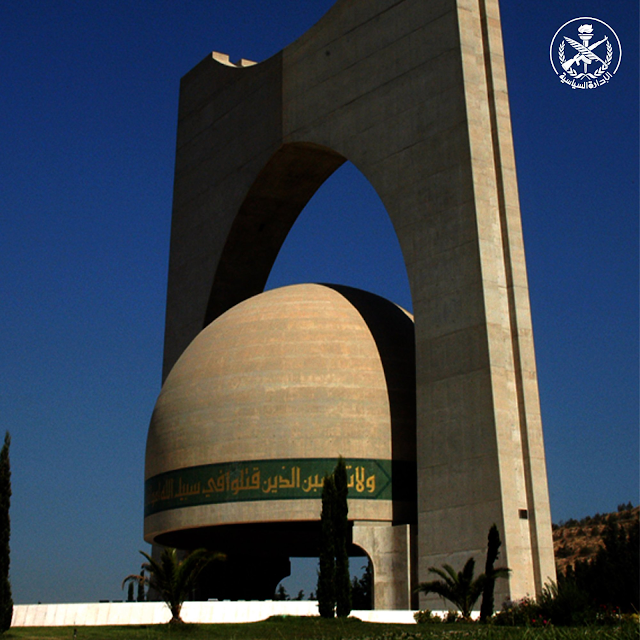 The Tomb of the Unknown Soldier in Damascus, a memorial to all Syrian soldiers killed in conflict. The monument's dome symbolizes the universe, with the overlying arch symbolizing victory. Two verses (Quran:169,170) are written on either side of the dome. Aleppo's capture wasn't a fatal blow to the Rebels. Just another change of hands. 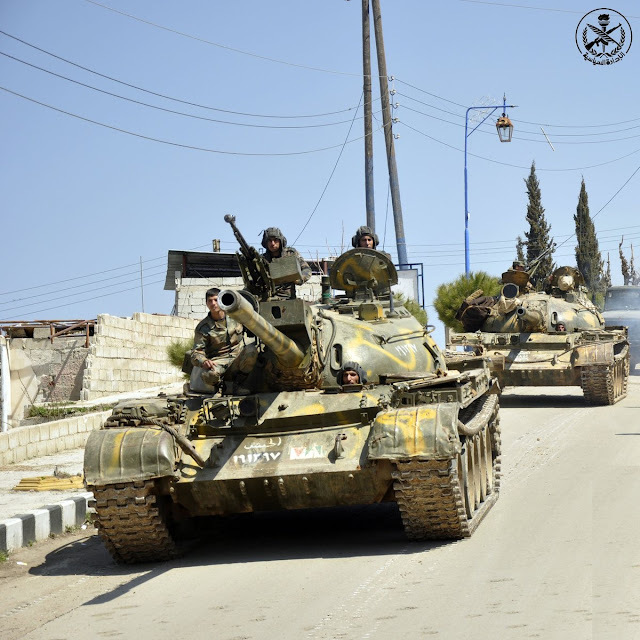 With Turkish Intervention, the rebels will continue indefinitely to wear the Regime down via attrition till it internally collapses and leaves Putin with nothing to work with. You're absolutely delusional, the rebels are totally finished. 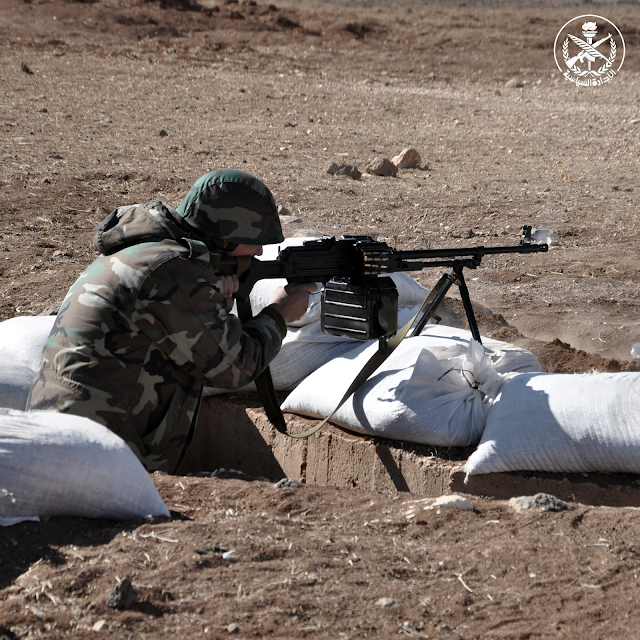 Russian support will ensure that the government will crush the rebels. "Three T-72AVs, still in pristine condition "
Middle picture the guy on the tank looks Russian ?